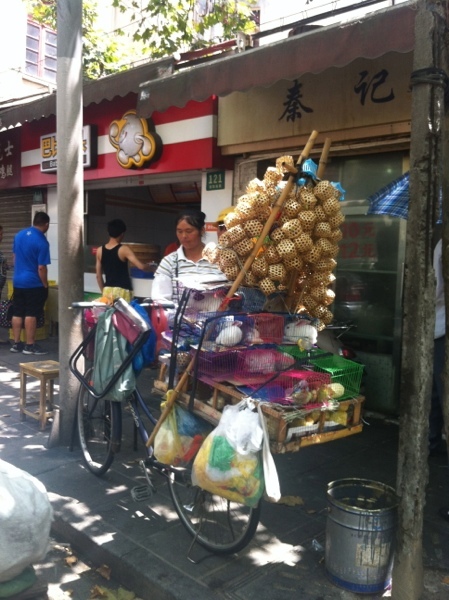 You see all manner of things being carted on bicycles in Shanghai – from refrigerators, to families of four, to furniture… But this was a first for me – a lady selling birds, bunnies and crickets from a bicycle in the streets of Shanghai. Seems she had stopped for lunch and I was lucky enough to catch this photo. Never ceases to amaze me what one can find on the streets of Shanghai!